I'm a practicing quantum chemist and I own this book, Levine, Szabo, Helgaker, etc.This is by far the worst book for many reasons.First, this book is not pedagogical, you will not learn HOW anything works, just what Jensen or common knowledge says about different methods.Second, Jensen isn't a very good quantum chemist and he's flat out wrong in some places.His remarks on relativistic effects in quantum chemistry elicited a "that's f***ing b***s**t" from an expert in relativistic quantum chemistry I know. If you want to learn the basics of the methods, Levine, Szabo and Helgaker are the best, in order of difficulty, although review articles (free to academics) and lecture notes found on UGeorgia's CCC home page by David Sherrill are just as good for no cost.I have heard Cramer does a better job at the goal of this book, however, there's no point to writing these quasi-undergraduate textbooks since they aren't classroom-worthy, nor are they useful to any real researcher in the field. The large and continually increasing importance of theoretical methods in the solution of chemical problems was impressively documented last year by the conferring of the Nobel price for chemistry on two extraordinary champions of this genre, John Pople and Walter Kohn. 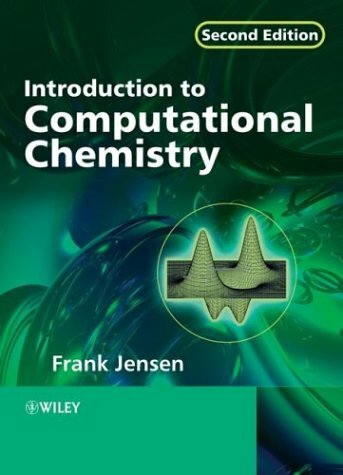 Of course, the appearance of Frank Jensen's textbook about computational chemistry could hardly have been better timed. In contrast to the numerous quantum-chemistry textbooks previously available, this book intends to cover the entire field of computational chemistry, although the main emphasis is clearly on the discussion of quantum-mechanical methods. Jensen begins with an introductory, barely 50 page chapter about empirical force field methods. As in the rest of the book, the aspects being discussed are pleasantly geared toward the requirements of the potential user. In this manner, different parameterization strategies are discussed, and popular force fields are critically examined with regard to their fields of application and are compared to each other. Additional, modern approaches such as the determination of transition structures through force field calculations or the combination of force field methods with quantum-chemical strategies are introduced. Chapters follow in which a conventional, if also state of the art, introduction to the predominant tools of quantum chemistry - the Hartree-Fock approximations, important semiempirical methods (from the H?ckel model to PM3 and SAM1_, and current methods for the inclusion of electron correlation (configuration interaction, perturbation theory, coupled cluster) - is given. These sections are sensibly supplemented by a chapter dedicated to the different basis sets and their characteristics, in which extrapolation methods such as the different Gaussian-1 and -2, CBS, or PCI-X methods are also included. A modern theoretical textbook can naturally not be without a chapter about density functional theory, so their fundamentals and popular functionals are on 15 pages concisely introduced. Somewhat more specialized sections follow about valence-bond methods, relativistic approaches, population analysis, and the calculation of molecular properties. Subsequently, an entire discusses the accuracies of the previous introduced methods, with respect to the calculation of energies, geometries, vibrational frequencies, dipole moments, and so on. Fortunately, this discussion is not limited to the ubiquitous water molecule, but rather treats several systems that are more difficult. In the last third of this work, further points important to the subject of the book are worked through, unfortunately rather disjointedly. The relationships between thermodynamic quantities or absolute rate constants and the calculation of molecularquantities are established. The relevant methods for the optimization of minima and saddle points on potential energy surfaces are discussed and the qualitative concepts of frontier orbital theory and related approaches are expounded. Finally, simulation techniques such as the Monte-Carlo method or molecular dynamics, as well as approximate methods for the inclusion of solvent effect (COSMO, PCM, etc.) are introduced. Based on the organization of the content and the elementary level of the presentation especially in the first part, this book serves as a useful accompanying text for application-oriented seminars and classes. As a rule, these cover a similar variety of subjects, and do not reduce the modeling and simulation methods to quantum chemistry. Beyond that, the efforts of the author to deliver a modern book that reflects the current state of the art are to be commended. Recent developments, such as hybrid strategies for the combination of force field and quantum-mechanical methods, the R12 approach in the calculations of electron correlation, or fast-multipole as well as pseudospectral methods for the efficient calculation of Columbic interactions are taken up in the discussion. Correspondingly up-to-date are the many useful references, which are as recent as 1998. Despite this generally positive impression, there are some naturally some details that give rise to critical comments. For example, in some places the mathematical formalisms are described in great detail, while their interpretation is neglected. This is especially striking in the discussion of the density functionals. The highly complex expressions for, for example, Vosko, Wilk, and Nusair (VWN) or Lee, Yang, and Parr (LYP) correlation functionals are reproduced in all their beauty, although the actually do not reflect the underlying physics, but rather springs from purely pragmatic considerations. This reference fails, however, so that the complicated mathematics puts one off and do not impart any increased knowledge. Similar observations can be made about both the overly demanding sections about relativistic methods and the calculation of molecular properties. Here, the level is anything but elementary, much is assumed, and the description is far too compact. It is debatable, for instance, whether the highly complex discussion of propargators methods would be at all helpful to the reader of this book. Similarly, one can ask what the use the reader can make of the barely two-page appendix on the subject of ?second quantization.? which has no recognizable connection to the rest of the text. Here, less would surely have been more. Many smaller inconsistencies also blur the picture, such as when important concepts are used without comment many pages before they are introduced (e.g. ?natural orbitals? ), or are never explained in greater detail (e.g. ?gradient norm?). Many misprints have also unfortunately crept in. Apart from the omission of a factor of ?N? in the definition of electron density, these are luckily only distracting and do not invalidate the contents. In the reference section in particular, one finds many wayward spellings of the authors? names. Also conspicuous is the clear and not always professionally understandable preference for Scandinavian authors in the selection of literature references. Nevertheless, these critical comments should not obscure the fact that this book is an interesting new release. It covers the subject relevant to this area, is modern, and is over all pleasantly and understandably written. Jensen?s book will, despite the small problems, live up to the claims of being a useful introduction to the techniques of computational chemistry. It can be recommended to students of general chemistry,a s well as those scientists interested in the subject, especially in the view of its pleasantly moderate price. Well, this book is a must-read for those who perform ab initio calculations. 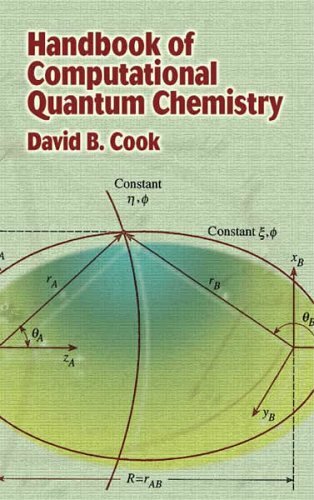 If you have enough quantum chemistry background, then this book is a good reference for your electronic structure calculations. However, you can not expect that you can learn HF, MPn, CC, CASSCF, CI, SE, etc., from this book. I think the reason for this book being so popular is because there is lack another one of the same introductory level. This book is not simple enough for a beginner as well as not deep enough for advanced readers. It does not discuss all the topic covered in the book in detail (maybe the capter of basis set is the only exception). This book is also lack of a chaper for calculating thermodynamic properties based on ab initio results. Anyway, this book may fill some gaps of my knowledge on ab initio calculations, but I do not enjoy reading it because it never helps to understand the principle of ab initio. For those who want to learn quantum chemistry/ab initio calc., this is absolutely NOT the one. Levine's quantum chemistry (5th) and modern quantum chemisty are the books written in much better style. For MM, TST/statistical mechanics chapters, which should be removed and leave more space for ab initio, I agree with other reviewers. Provides an excellent overview of quantum mechanical computational chemistry methods. Discusses semiempirical, wave mechanics and density functional approaches in great detail. Also goes a good job discussing basis sets, optimization methods etc. Unfortunately, much less attention is given to other computational methods such as molecular mechanics. If one desires an overview of the entire compuational chemistry field, I reccommend Molecular Modeling by Leach. If your interests lie primarily in QM methods, this book has a more complete discussion of these methods than Leach's text. 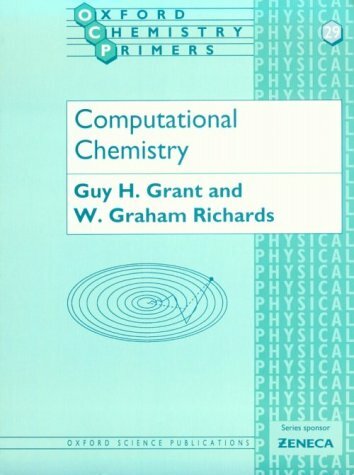 For a brief, general introduction to Computational Chemistry I prefer Grant & Richards', and for a deeper, detailed description of the whole filed, Leach's. Jensen is mainly oriented towards 'ab initio' methods with a touch of Molecular Mechanics. 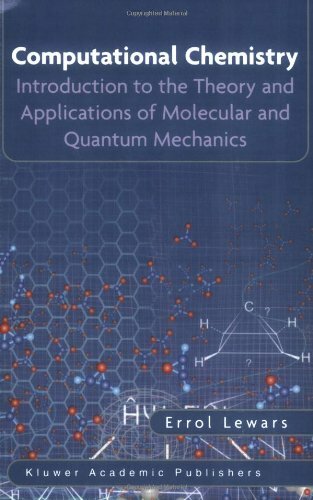 This book starts with a short introduction to Molecular Mechanics and Dynamics, and then moves on to 'ab initio' Quantum Chemistry methods, to which it is mainly devoted and where it extends in greater detail. There, it becomes an excellent and deeper introduction to all the methods of Quantum Chemistry, and gets its true value. Detailed descriptions of the different levels of theory, basis sets, density functional theory, semiempirical methods, relativistic methods, etc... make it an excellent introductory reading. Math coverage is just enough to undertand what is going on and how it will affect the computation, but not enough to help you write or design your own software. There are lots of examples along the book used to illustrate the points, and an invaluable chapter comparing the different methods, their accuracy and performance and their utility in different calculations. The book carefully avoids tying to specific software packages and keeps examples on a higher level thus maintaining its applicability and generality. This is a good book for those mainly interested in Quantum Methods, wishing to learn about them, how they work and how they are applied in practice, as well as how they are implemented and what this will cost in computability and computer time. The initial chapters on MM and MD are detailed enough to provide a starting link to the methods used for more complex molecular systems. This is an excellent reference cookbook in Computational Quantum Chemistry. It is a pity the author has now retired because it would be great to see further editions expanding on more modern topics. Even if that means adding even more pages to it. Let's hope someone can take over from it. The book is a *must have* for anybody working in Theoretical Computational Quantum Chemistry. The book describes most methods in enough detail that you would be able to implement them yourself if you were so tempted. So, its theoretical coverage is excellent, and to top it all it is highly readable. Now, before buying it, you must know what it tries to achieve: in real world CQC, you should not just limit yourself to trodden paths, since they are often of limited application to modern world challenges; this means that quite often you will need to modify exiting software to tweak it or add that small bit of extra functionality that you need. This is what the book is about: describing the inner working of current methods and enabling you to further the status of the field. So, if you are looking for a newbie end-user recipe book on how to run your calculations using a software package, or looking for quick and dirty rules of thumb on which method to use for a given problem, then this is not your book. It is for serious professionals, not new starters. In that case I would rather recommend either Martin's Electronic Structure (if you're on physics) or even, better yet, Young's Computational Chemistry (which does an excellent work as an "executive review" for newbies or newcomers to the field). 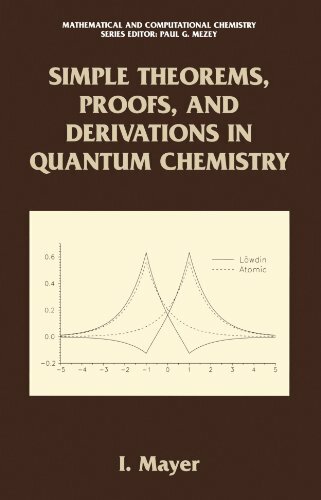 OTOH, if you are really serious about professional Computational Quantum Chemistry, then this is certainly a must have book for you. It covers theory and implementation of all major algorithms, will teach you how to become a professional scientific programmer (something largely missing today -sigh) and will offer you recipes to implement the code in Ratfor, a derivative of Fortran that is independent of version/standard, that is structured and that can easily be converted to any other modern language. Good theory, good code, good advice on programming and application... what else could you want? The code is downloadable from the author's web page, is very well written and documented and works. The only thing you might possibly notice is one missing element mentioned in passing on a tiny sentence in the book: a GNU derivative version of the latest Public Domain release of Gaussian by John Pople that might help you better understand how the old, humongous, monstruous code used in traditional packages works in real life. Since you can now get full source code access to similar legacy packages -like GAMESS-US- and modern advanced packages -like NWchem or MPQC- and even modern DFT tools -like SIESTA, OCTOPUS or ABINIT- that is not a major loss except for nostalgics and history. It is still a shame: any google search for that ancient public domain code will show how access to the public work of a Nobel Prize has been totally lost to the public (and even scientists) due to greedy commercial interests. Nice exposition on the inner workings of computational quantum chemistry. David Cook's book, pun-fully referred to as the 'Cook-book', is a very easy to read exposition through the inner workings of computational chemistry. Cook covers all the major topics from general Hartree-Fock theory through more exotic methods such as Moeller-Plesset perturbation and coupled-cluster theories and their implementation in Fortran (some C). Next to the theoretical models, the Cook-book cooks up a rudementary integral evaluation program and offers tips and pseudo-code for integral storage and handling. If you are new to coding, this book also interjects appendices throughout detailing ways of housekeeping computer code and creating internal documentation on different subroutines with external open-source programs. 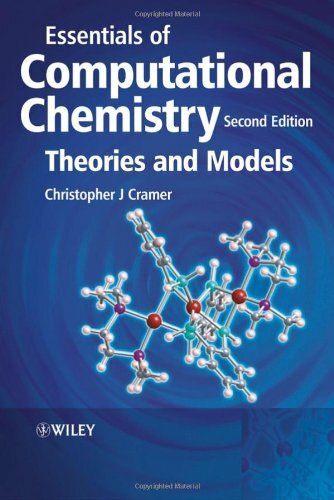 Overall, this is a must-have for any computational chemist whether they code or not simply as a reference of the coding details of modern theoretical models. For the price, you couldn't hope to find a better reference. Chris Cramer's book on computational and theoretical chemistry is among the most sophisticated and well-written I have come across. The main strength of the book is its treatment of quantum mechanics and statistical mechanics. Cramer who is a world-renowned expert on solvation especially excels in describing important implicit and explicit solvation models. The book often puts emphasis on what we can call the philosophy of computational models. Cramer has a knack of analyzing the big picture that encompasses the specifics and elegantly describes the possibilities, pitfalls, perils and promises of models. The one problem I have with the book is the absence of biological topics which could have been covered for illustrating the applications of the models. The case studies that have been provided in boxes are valuable but almost entirely consist of pure organic and organometallic chemical studies. For a treatment of applications to biological systems I would recommend Andrew Leach's book on molecular modeling. The other minor limitation of the book is that it might not be entirely suitable for a beginner who might find the derivations and language a little too sophisticated. However a diligent beginner's perseverance would still pay off. For the intermediate level student though, this is a very valuable if not the most comprehensive treatment of theoretical and computational chemistry models that is around, especially for understanding the philosophy of the subject. This is a good concept-based text for computational chemistry.As others have mentioned, this book does not cover every equation and derivation. Rather, it is more conceptual, using a more pictorial approach.In my opinion, this conceptual approach is more pedagogically useful than a purely mathematical approach for beginners to the subject.Other computational texts often take the approach that a good equation is worth a thousand words.This may be true, but it may also take a thousand minutes to figure out what that equation means.Equations also do little to stir the imagination if one cannot visualize what they really mean.But make no mistake--the really important equations are presented here, but where they are included the various terms are well-defined. I thought this book was particularly good at showing the strengths and weaknesses of a given model theory.Tables with RMS errors are here aplenty, which are helpful to get an idea of the accuracy of varying levels of theory over some test set for a given property.Coverage is particularly good for pathological cases for theory (e.g. open-shell singlet diradicals, spin contamination, root switching, etc), which is helpful for newcomers to theory. The organization is also logical, starting with the more easily understandable classical approaches (such as MM) before getting to wavefunction/DFT based methodologies. The description of how parameters for MM are coded is particularly well-described (e.g. fourier series for torsions, Lennard-Jones potentials for van der Waals, etc). My adviser finally broke down and bought me a copy of this book since I was always stealing his.It's worth having as a reference, and I think $60 is a very fair price for what you get. Background: After taking a good undergraduate course in physical chemistry, one should be able to painlessly read this book from cover to cover. It essentially is a book for people new to the subject, an introduction to computational techniques without the troubling gory details. Content: Both MM and QM methods are treated (For a list of the topics use the 'search inside' function and scroll thru the index). The author tries to give the reader an overview of the methods used in modern computational chemistry. He does a good job in making things clear, although the level of the arguments treated is very basic (the word 'essentials' in the title is there for some reason i guess). One thing Cramer does rather well is underlining the pros and cons of each method,thus giving even non-chemists the chance to get an intuitive grasp of what one should expect from each one of them, and of what their inherent limits are. One thing to be pointed out is that almost all methods explained are ground state methods. There actually is a chapter on the computation of excited states but it does leave some important things out (e.g. CASSCF). As another reviewer pointed out, nothing is said about solids and interfaces, and very little is said about dynamics. Also there is very little math. While this may as well be a plus for some readers it may leave others disappointed. The basic equations behind the theories are given and explained, but not derived, nor is it explained how they are implemented in actual software. :: If you are a chemist not directly involved in physical/computational chemistry, but you are still interested in having a basic grasp of what goes on in those fields without devoting too much time and effort to it, this may as well be the book for you. If you are looking for a book that goes thru the nuts and bolts of computational techniques look elsewhere. That said, this book is very well written and surely worth reading. It is a good book to start with for computational chemistry. It covers the concepts and suitable for newbies. However, you need a better book if you are looking how to apply the concepts into computational software. A practical, easily accessible guide for bench-top chemists, this book focuses on accurately applying computational chemistry techniques to everyday chemistry problems. Provides nonmathematical explanations of advanced topics in computational chemistry. Focuses on when and how to apply different computational techniques. Addresses computational chemistry connections to biochemical systems and polymers. Provides a prioritized list of methods for attacking difficult computational chemistry problems, and compares advantages and disadvantages of various approximation techniques. Describes how the choice of methods of software affects requirements for computer memory and processing time. This is a wonderful book for a novice in the field of quantum chemistry. It IS NOT a textbook of quantum chemistry, and is not intended to be. It IS a book explaining in non-technical language, how to use existing programs and techniques to do calculations of specific types in a way that will practically guarantee that an answer to the problem can be calculated. A useful feature of the book is that most chapters end with a checklist of techniques that can be used to calculate a particular property of interest (a transition state structure, for example), in the order of ease of use. By following this order, a novice will be almost guaranteed to finally calculate the property of interest. Another exceptional feature of the book is a large table of calculational methods, and how accurate the results obtained might be expected to be (r.m.s. deviation from experimental values). This will particularly appeal to experimentalists, who are usually frustrated by the unwillingness of theoreticians to provide error bounds on computations. Highly recommended for all beginning users of computational chemistry programs such as Gaussian, MolPro etc. 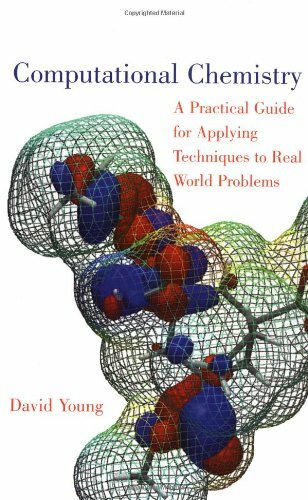 This book is targeted at working chemists (not theorists) and engineers, who want to use computational chemistry to address real-world research problems.It does a good job of providing a general overview of a wide number of techniques with an emphasis onpractical considerations, such as the appropriateness and accuracy of the various techniques for a given type of problem, and the potential pitfalls that must be avoided. It does a great job of explaining the jargon and technical nomenclature, which would otherwise stump new-comers to the field, including short descriptions of the various levels of theory (Semi-empirical Methods, HF, DFT Methods, Perturbation theory, CI, CC, etc...), Basis Sets (STO-3G, 6-31G, CBS, LANL2DZ, etc...), calculation types (geometry optimization, frequency calculations, population analysis), and so on.In addition it has a very useful appendix containing short reviews of about 30 different software packages used in the field. While the book is a useful practical guide, the potential buyer should recognize that it is not intended to be a textbook on Quantum Chemistry.It provides a general overview of the various theories, indicating some of the major assumptions, but does not delve into any details of how the theories actually work or are implemented.It contains very little math and doesn't even attempt to explain how to solve the few equations it does have (the obvious assumption being that the computer will solve them).All of this is fine for the stated goal of the book, but the reader should realize that if he really wants to learn Quantum Chemistry, rather than just run a software program that uses it, he should at least find another book to read in conjunction with this one. This book provides a comprehensive account, from firstprinciples, of the methods of numerical quantum mechanics, beginningwith formulations and fundamental postulates. The developmentcontinues with that of the Hamiltonian and angular momentum operators,and with methods of approximating the solutions of the Schroedingerequation with variational and perturbation methods. Chapter 3 is a description of the Hartree-Fock self-consistent fieldmethod, which is developed systematically for atoms. TheBorn-Oppenheimer approximation is introduced, and the numericalmethods presented one by one thereafter in a logically consistent waythat should be accessible to undergraduates. These include LCAO,Hartree-Fock-SCF method for molecules, Roothaan LCAO-MO-SCF method,and electron correlation energy. Chapter 4 is devoted to the more sophisticated computational methodsin quantum chemistry, with an introduction to topics that include: thezero differential overlap approximation; Huckel MO theory ofconjugated molecules; Pariser-Parr-Pople MO method; extended Huckeltheory; neglect of differential overlap methods; invariance in spacerequirements; CNDO; INDO; NDDO; MINDO; MNDO; AM1; MNDO-PM3; SAM1;SINDO1; CNDO/S; PCILO,X? ; and ab initio methods. This is followed by an introduction to Moller-Plesset perturbationtheory of many electrons, and coupled perturbed Hartree Fock theory,with a description of the coupled cluster method. Finally Chapter 5applies these methods to problems of contemporary interest. What this book does, it does reasonably well. Its real strength is in the basic quantum mechanical principles that bind atoms and that cause molecualr interactions. The authors carry this forward, using concise mathematics, to derive electron distributions and small-scale molecular conformations. The third chapter addresses conformations of larger molecules, starting with rigorous computations of each conformation's energy, then backing down to some approximation techniques. The fourth chapter packs in a number of concepts, prehaps too many: solvation, statistical mechanics, and a little bit of molecular mechanics. Chapter five skims over protein and DNA folding, and chapter 6 discusses small-molecule (drug) interactions with proteins. Although the authors start the book noting the intense computational requirements, they never give explicit techniques for performing those computations efficiently. The math is the abstract form, close to the quantum mechanics, and rarely the form of a practical computation. In fact, the math is abstract enough that I'd be hard pressed to come up with real limits of integration in many cases. The authors make some effort to use their equations to support intuitive understanding, but sometimes focus too much on the formulas themselves instead of their meanings. I can't fault the book for being written in 1995 - by the standards of computational chemistry, that's a bit dated now. Still, almost all of its references date from 1990 or earlier. They weren't the freshest even when the book was written. The book does give a broad view, high-level survey of the quantum mechanical view of chemistry. It omits many more modern practices though: finite element approximations to molecule structure, grammar-based analysis of RNA folding, and Markov models for structure prediction. It also omits the knowledge needed to reduce abstract physics to practical calculations. Use this as an introductory survey, but use other books for knowledge you can put to work. A concise introduction to Comp. Chem. This small booklet is an excellent introduction to computational chemistry for the novice. Provides an easy to read, description of the field, its methods, applications and utilization. Covers everything: 'ab initio' quantum mechanics, molecular mechanics and dynamics, modelling of biological macromolecules with a short introduction to sequence analysis, QSAR and computational pharmacology. 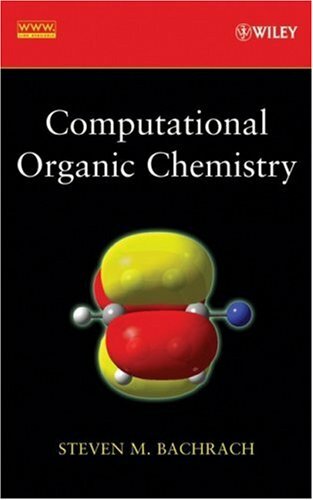 "[This book] collects together, largely for the first time, a series of chapters dedicated to all the ways in which molecular modeling/computational chemistry can impact organic chemistry." Computational Drug Design covers all of the major computational drug design techniques in use today, focusing on the process that pharmaceutical chemists employ to design a new drug molecule. The discussions of which computational tools to use and when and how to use them are all based on typical pharmaceutical industry drug design processes. Part One, The Drug Design Process, sets forth a variety of design processes suitable for a number of different drug development scenarios and drug targets. The author demonstrates how computational techniques are typically used during the design process, helping readers choose the best computational tools to meet their goals. Part Two, Computational Tools and Techniques, offers a series of chapters, each one dedicated to a single computational technique. Readers discover the strengths and weaknesses of each technique. Moreover, the book tabulates comparative accuracy studies, giving readers an unbiased comparison of all the available techniques. Part Three, Related Topics, addresses new, emerging, and complementary technologies, including bioinformatics, simulations at the cellular and organ level, synthesis route prediction, proteomics, and prodrug approaches. 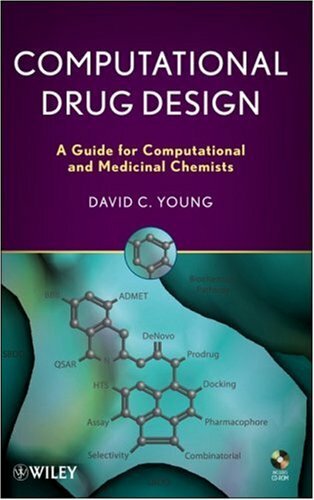 The book's accompanying CD-ROM, a special feature, offers graphics of the molecular structures and dynamic reactions discussed in the book as well as demos from computational drug design software companies. Computational Drug Design is ideal for both students and professionals in drug design, helping them choose and take full advantage of the best computational tools available. In its short (30 year) history, computational chemistry has become one of the mainstays of modern industrial and academic chemistry. Computer methods are used to solve chemical problems that would be intractable or even impossible via experimental methods. Today, computer chemistry is acknowledged to be a major subdivision of chemistry, e.g. in drug design, molecular models can be simulated to predict which are the active compounds and how they will "fit" the receptors in the brain in order to make them effective. 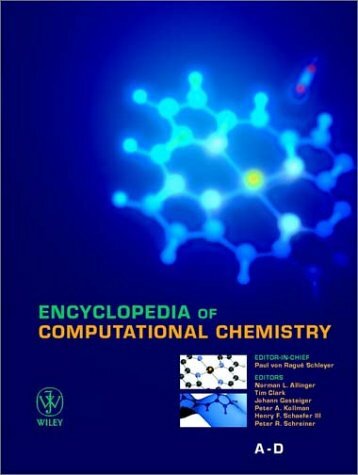 The Encyclopedia of Computational Chemistry (ECC) provides the most modern, complete and authoritative reference work on the subject. 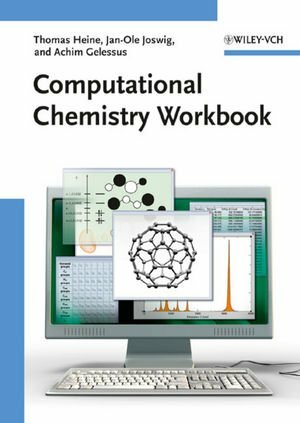 "The Encyclopedia of Computational Chemistry represents the most comprehensive effort yet to cover the field of computational chemistry in its full breadth. This effort has been successful in most points and the ECC is thus a must-have for all chemistry libraries". The gap between introductory level textbooks and highly specialized monographs is filled by this modern textbook. 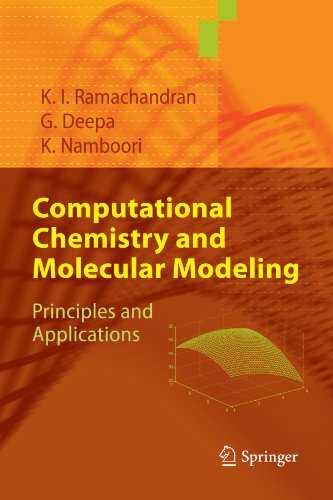 It provides in one comprehensive volume the in-depth theoretical background for molecular modeling and detailed descriptions of the applications in chemistry and related fields like drug design, molecular sciences, biomedical, polymer and materials engineering. Special chapters on basic mathematics and the use of respective software tools are included. Numerous numerical examples, exercises and explanatory illustrations as well as a web site with application tools (http://www.amrita.edu/cen/ccmm) support the students and lecturers. 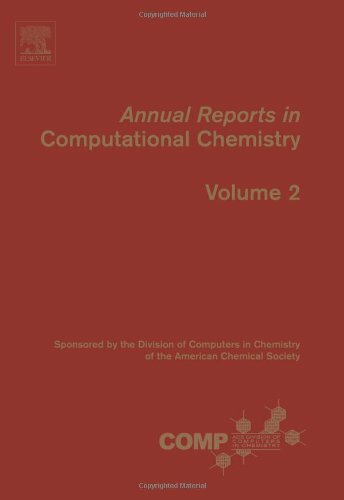 Annual Reports in Computational Chemistry is a new periodical providing timely and critical reviews of important topics in computational chemistry as applied to all chemical disciplines. Topics covered include quantum chemistry, molecular mechanics, force fields, chemical education, and applications in academic and industrial settings. Each volume is organized into (thematic) sections with contributions written by experts. Focusing on the most recent literature and advances in the field, each article covers a specific topic of importance to computational chemists. Annual Reports in Computational Chemistry is a 'must' for researchers and students wishing to stay up-to-date on current developments in computational chemistry. Computational chemistry has become extremely important in the last decade, being widely used in academic and industrial research. Yet there have been few books designed to teach the subject to nonspecialists. Computational Chemistry: Introduction to the Theory and Applications of Molecular and Quantum Mechanics is an invaluable tool for teaching and researchers alike. The book provides an overview of the field, explains the basic underlying theory at a meaningful level that is not beyond beginners, and it gives numerous comparisons of different methods with one another and with experiment. The only other book I can compare this to is Cramer's, and this one is better suited to a first introduction into computatioal chemistry.I have taken one graduate quantum chemistry course, and this was more than enough background for understanding this book.This is the only text I know of (I asked my comp chem prof if he knew of any others) that walks through a Hartree Fock calculation step by step using an example.There are some mistakes in the formulas, but they are quite minor.All in all, I would recommend this book to anybody interested in beginning to learn about computational chemistry. Maybe there just isn't any way into the basics of modern computational chemistry. Lewars introduces the easy parts in a clear enough way. Potential energy surfaces make sense. Molecular mechanics has a good, intuitive feel - it's the springs-and-balls model, elaborated to include plane and dihedral angles, representing force fields derived from other sources. After that (i.e., after p. 80), it's quantum mechanics for a few hundred pages. The premise is that the layout of electrons across a molecule determines its chemistry, and that the wave function tells where the electrons will be. Since the wave equations can't be solved exactly for anything with two or more electrons (! ), it's actually approximations to quantum. That leads to two levels of opacity: quantum itself, and all the facts that were scraped off in the approximation process. At this point, the chice is binary: become fluent in quantum, or move on. There are a few nuggets to be had for the non-fluent, including some of the techniques for solving these horrendous integrals. Mostly, though, I moved on. After the "ab initio" quantum mechanical methods, Lewars presents the semi-empirical models. These deal with simplified models of wave functions. Unlike ab initio methods, which stand on almost purely theoretical models, semi-empirical methods are informed by experimental data. They are based on the electron wave functions, as are the ab initio methods, but use approximations calibrated by experimental results. The book's final section presents density functional theory (DFT), another technique for estimating where the electrons will be. This book demands a lot of the reader, more than I came in with or had time to develop. I was able to use it to get a working vocabulary of the major kinds of computations, the general categories of approach to modeling, and a rough idea of the techniques and complexities involved. I need a little more information than that, but not the immediate leap into the deep end presented here. Over the past 25 years, the molecular electrostatic potential has become firmly established as an effective guide to molecular interactions. With the recent advances in computational technology, it is currently being applied to a variety of important chemical and biological systems. Its range of applicability has expanded from primarily a focus on sites for electrophilic and nucleophilic attack to now include solvent effects, studies of zeolite, molecular cluster and crystal behavior, and the correlation and prediction of a wide range of macroscopic properties. Moreover, the increasing prominence of density functional theory has raised the molecular electrostatic potential to a new stature on a more fundamental conceptual level. It is rigorously defined in terms of the electron density, and has very interesting topological characteristics since it explicitly reflects opposing contributions from the nuclei and the electrons. This book aims to understand the main aspects of non-covalent chemistry (mainly in the gas phase) and specifically compares the experimental and theoretical data available for non-covalent complexes and subsequent problems associated with this comparison. 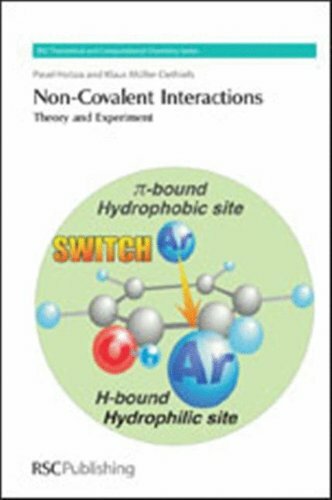 The book is authored by an experimentalist (KMD) and theorist (PH), and their main philosophy in writing together is that any book on non-covalent interactions cannot be limited either to theory or experiment. Both approaches are nowadays so closely connected that one cannot exist without the other and vice versa and their mutual connection provides the consistent description of non-covalent processes in our world. "Chemistry from First Principles" examines the appearance of matter in its most primitive form. It features the empirical rules of chemical affinity that regulate the synthesis and properties of molecular matter, analyzes the compatibility of the theories of chemistry with the quantum and relativity theories of physics, formulates a consistent theory based on clear physical pictures and manageable mathematics to account for chemical concepts such as the structure and stability of atoms and molecules. This text also explains the self-similarity between space-time, nuclear structure, covalent assembly, biological growth, planetary systems, and galactic conformation. Some years ago the German doctor of chemistry Peter Plichta published a revolutionary theory in which he is claiming matter and energy to be encoded in numbers. Because the style of Plichta's writings, see God's Secret Formula: The Deciphering of the Riddle of the Universe and the Prime Number Code, was not always appropriate for scientific argumentation, he could not overcome the initial resistance to his ideas and was seen by the multitude as a mere crank. It was even not advisable to refer to Plichta in a serious scientific paper, and this explains, why Plichta in this book is not mentioned despite Plichta's prime number cross page can be seen on page 132. 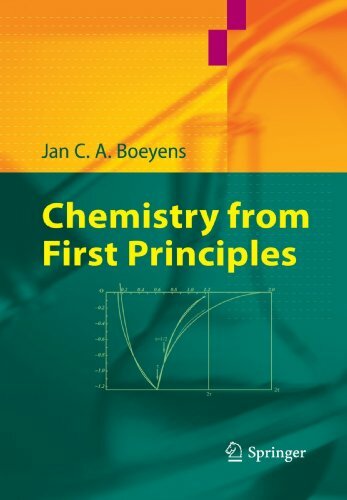 Jan Boeyens, one of the leading professors of theoretical chemistry, is confronting the main stream theories of relativity, quantum theory, wave-particle duality, orbital angular momentum, atomic shape and chemical bonding in the second part of this book with an alternative theory of the periodic laws, chemical interaction, structure theory and even cosmology. This truly extraordinary book has to be seen as an extension of his monograph on Number Theory and the Periodicity of Matter. This book details the necessary numerical methods, the theoretical background and foundations and the techniques involved in creating computer particle models, including linked-cell method, SPME-method, tree codes, amd multipol technique. It illustrates modeling, discretization, algorithms and their parallel implementation with MPI on computer systems with distributed memory. The text offers step-by-step explanations of numerical simulation, providing illustrative code examples. 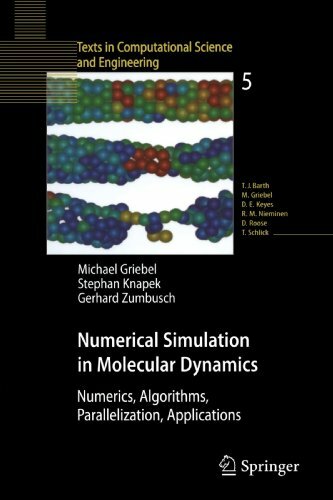 With the description of the algorithms and the presentation of the results of various simulations from fields such as material science, nanotechnology, biochemistry and astrophysics, the reader of this book will learn how to write programs capable of running successful experiments for molecular dynamics. Computational Photochemistry, Volume 16 provides an overview of general strategies currently used to investigate photochemical processes. 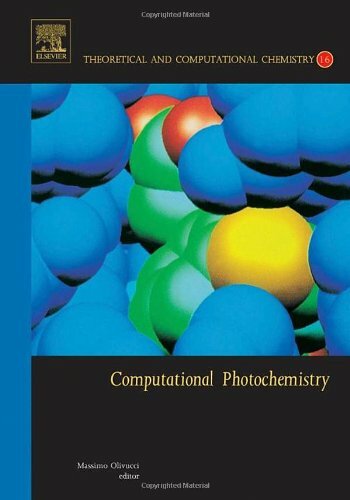 Whilst contributing to establishing a branch of computational chemistry that deals with the properties and reactivity of photoexcited molecules, the book also provides insight into the conceptual and methodological research lines in computational photochemistry. 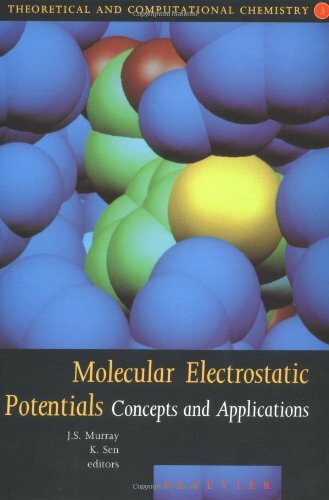 Packed with examples of applications of modelling of basic photochemical reactions and the computer-aided development of novel materials in the field of photodegradation (paints), photoprotection (sunscreens), color regulation (photochromic devices) and fluorescent probes, this book is particularly useful to anyone interested in the effect of light on molecules and materials.